Everything gets better with sage! Although we know you love it in your Thanksgiving stuffing recipe, this versatile herb can be used more than one time a year! Use this warm culinary herb when cooking meat dishes, or compliment soups and stuffing! Sage has a prominent flavor that doesn’t like to compete with others, so it’s generally best to use alone or as the staring flavor in a dish. It does go really well with rosemary and thyme since these are more supportive flavors. 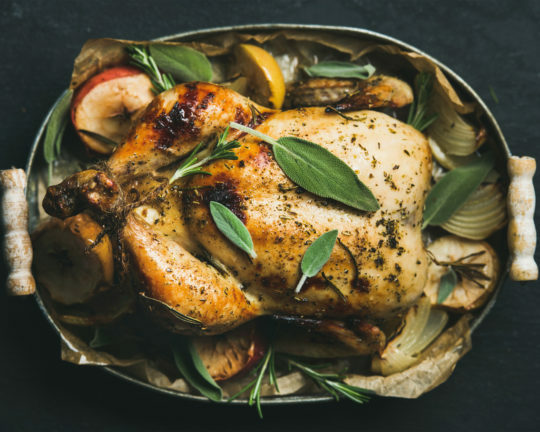 The flavor of sage balances out any “”gamey”” flavors of meat (which is why it was traditionally used for turkey at Thanksgiving), but this tip can be good to remember for other wild meats you might want to cook. Sold at the peak of freshness. Our Sage is grown and sold to be used right away for the best flavor. Triple the amount you would use for dry herbs and add just before serving. 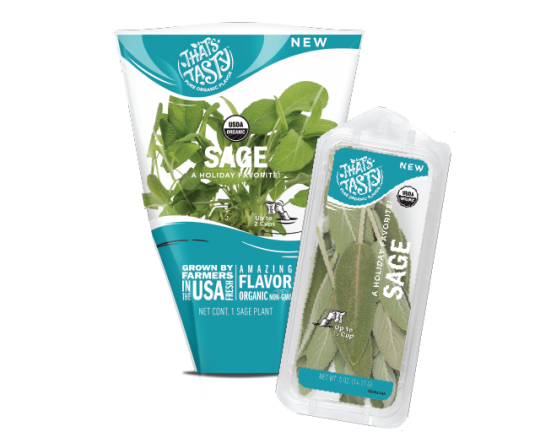 Sage is happiest inside its package, hanging out in your refrigerator drawer. Have extra sage? No problem. Try these fresh ideas for how to use it quickly. Make sore throat tea! Nothing works as well as sage tea to make your throat feel better quickly. 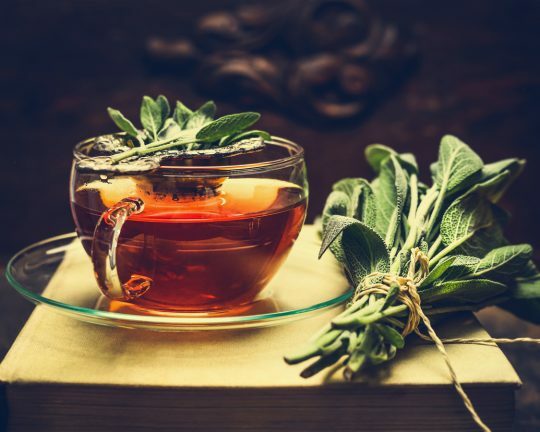 Just infuse some sage leaves in hot water for 10 mins., sweeten to taste with honey and drink. Give it a try! Freeze sage in ice cube trays with a little olive oil. These little favor bombs are perfect to quickly add flavor to a turkey, chicken or sausage dish. Just drop a few in the pan before you roast or cook in the crockpot. It’s also great to use as a marinade.